Today's post is the first in an occasional series exploring Tile Artisans. I hope to share their love of tile by discovering both their techniques and inspirations. Social media allows me to find and connect with these amazing tiles artisans that I never knew existed - some around the corner and others across the globe. Today I'm excited to share an interview with Margaret Almon of Nutmeg Designs. I became enamoured with some of Margaret's work a few years back and began following and supporting her on twitter. This spring I was touched by the kindness of a simple gesture that few of us do in this electronic age, Margaret wrote a note thanking me for my support - on the cover was a joyful expression of her stain glass mosaics. I was touched and so happy to share more about this amazing person and tile artisans. How and when did you start creating the mosaic glass art masterpieces? In 2003, I saw the mosaics of Hildreth Meiere at the Wernersville Jesuit Center, and I was smitten. I was working as a medical librarian and making collages at my dining room table, and cutting glass wasn't feasible. Buying a house with my husband, Wayne Stratz, in 2004, gave me a studio space. After reading and checking every possible book on mosaic out of the library(being a librarian after all), and taking some classes, I began my Etsy shop, Nutmeg Designs in 2007. My husband began making stained glass in 2008, which transformed our home into a "one-bedroom-two-studio-rowhouse." We wanted to collaborate, and started with words, such as Hope and Joy, with Wayne designing the lettering and cutting and grinding the pieces, and then I created the background. In 2010, a friend suggested we make house numbers, and what a friend she was! House numbers on Pennsylvania slate had an immediate positive response from our clients. Even though craft shows have been much tougher over the past few years, clients have found our house numbers online, and commissions and custom work have steadily increased. As an artisan, what inspires your glass art creations? Quilt blocks were my first inspiration. My husband's grandmother was a quilter, and we have one of her Log Cabin quilts. Like quilts, mosaics are based on modular patterns, and since sewing was not my strength, I was eager to translate the patterns into glass. Color guides me in my work, experimenting with complementary hues, and color gradation. My husband and I started collecting art tiles before we started making art, and the aesthetic of the Arts & Crafts movement remain an inspiration with our house numbers. We are fortunate to live near the Moravian Tileworks in Doylestown, PA.
Now, of the many designs and projects, which stands out as your favorite? Why? A Flickr friend commissioned us to create a house number for her sister, who loves the weathered colors of totem poles. Wayne began by designing and cutting out the numbers in white glass. Looking at the blue, teal, and red glass for the background reminded me of a Canadian artist I admired, Emily Carr. Flipping through a book of her art, I found a watercolor painting of totem poles evocative of what our client requested. It was a pleasure to have such variegation, and other clients have gravitated toward the color scheme when they see photos of the original 1670. Listening to our clients tell stories about what they envision is a catalyst for creativity. What was the proudest moment for you and your hand-made mosaic/tile business? After my employer closed the library in 2010, I began working in my business full time. Being laid off was a shock, but after the initial shock receded, and after many conversations with my husband, I knew that making mosaics was what I wanted to do. I stopped looking for a library job, stopped receiving Unemployment, and began working for myself, and persisting in spite of uncertainty. In promoting your creations, and to help gain greater exposure, which digital platforms do you use (Blogging, Facebook, Twitter, Pinterest, Instagram, etc.)? How do you use them to promote your hand-made business? I have blogged at Margaret Almon Mosaics (http://margaretalmon.com), since 2008, on topics such as mosaic art, tiles, Margaret Mondays, Orange Tuesdays, quilts, The Alexander Technique and jazz. Our most recent house number order was from someone who saw a photo on my blog. Readers have become friends, fans, and clients. This year Wayne and I began a blog at our website for collaborations (http//nutmegdesignsart.com), documenting work in progress, our commissions and the process of being a Dynamic Duo. Facebook, both personal accounts and Business Pages, has allowed us to share photos of our work in progress, our studios, materials, and finished mosaics. Twitter is something we enjoy, and have met very interesting folks, including an Icelandic Jazz Pianist, Sunna Gunnlaugs, and jazz vocalist Andrea Wolper, both of whom make wonderful music and who became clients. Which of these social media platforms has helped your business the most? How? Facebook has shown us how responsive people are to our images, and their tendency to say "I want to buy that." The exponential process of friends of friends of friends viewing our images has been a blessing. Although Etsy may be more e-commerce than social media, it also has been very helpful in helping people discover us. 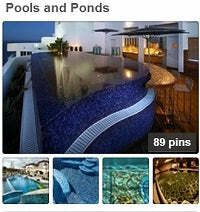 If someone searches for mosaic house numbers in Google, results in Etsy rank high, and people can come across our work. Where do you see Nutmeg Designs going from this point forward? Commissions have led us to new collaborative designs, like a Celtic knot tree for a wedding gift, and we practice remaining open to inspiration and improvisation. We cherish delighting people with our work. As we like to say, "Catching the Eye. Delighting the Soul." Is there anything you would like to add, especially to those who have a deep appreciation for the art you create? When someone makes one of our house numbers part of her home, we are honored. When someone commissions a word sign to bring hope to a friend going through a hard time, we are awed by the power of friendship. We are grateful to those who champion our art, purchase it, share it, write about it, and enjoy it. The Italians are famous for their design sense. From the clothing and accessories they design to their timeless architecture and art work, and of course their legendary sports cars. There is no limit to their imagination. The same determination applies to their design sense when it comes to tile. From Venetian glass mosaic tiles, to ceramic tile that closely resembles heavy brocade patterns, to the crispness of summery linens, it seems the Italians have perfected the art of mimicry. During the recently held Coverings tile and stone show held in Atlanta, Italian tile manufacturers unveiled their creativity and ingenuity with new twists on patchwork type styles, state-of-the-art anti-bacterial and self-cleaning tiles, time-tested encaustic and majolica patterns, fabric-like textures and embossing, large-format tiles, and quick-installation ceramic tile systems. Patchworks tiles, such as “Minoo” by Marcel Wander for Bardelli, feature ornate 8”x8” porcelain floor tiles in five silkscreen patterns reminiscent of Persian rugs. For Mosaico+, renowned mosaic artist Carlo Dal Bianco used mosaics from the company’s various lines to create a series of new decorations. For the “Lacquer” and Inlay” series, he used iridescent mosaics from the Perle collection and square glass chips from Concerto to invoke ancient Chinese dynasties. For a mixed color palette, Ceramica Sant’Agostino’s “Abita” collection of 8”x24” white body wall tiles boast a diamond effect in three chromatic mixes of beige, lilla and menta. Philippe Starck also played a role within the ceramic tile sector with the launch of “Flexible Architecture” for Italian manufacturer Ceramica Sant’Agostino. The decorative, modular tile can be specified on one to four sides of the tile or on no sides at all to create an endless array of architectural compositions. “Minoo” by Marcel Wander for Bardelli. Philippe Starck's “Flexible Architecture” for Ceramica Sant’Agostino. Ceramic tile is inherently hygienic. It contains no VOCs, so it was only natural for Italian manufacturers to collaborate with biotech companies to offer products that promote the antibacterial, antipollution and self-cleaning properties of ceramics. 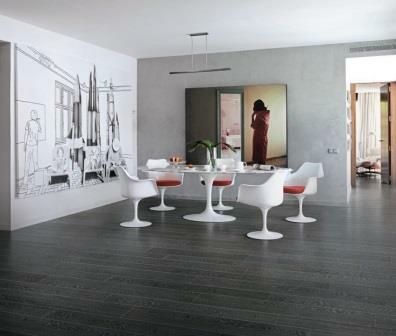 Among the latest to develop these types of tiles are Fincibec with “Antibact”, Century with “Technica”, Mirage with its “Sundeck” (its zero maintenance decking product), and Panaria, Lea Ceramiche and Cotto d’Este (all part of the Panaria Group) with their antibacterial floor and wall tiles for residential and commercial applications. Further, as an industry first, Casalgrande Padana unveiled “Bios Self Cleaning Ceramics” that uses HYDROTECT technology from the Japanese brand, TOTO, to create self-cleaning, anti-bacterial and pollution-reducing tiles. The HYDROTECT coating contains two active agents: titanium dioxide, which is photo-catalytic; and a well-balanced formulation of metals that offer antibacterial and antivirus properties. The technology is especially useful for exterior cladding and can be applied to all Casalgrande Padana products. Inspired by vintage encaustic and majolica tiles, old world historical charm has been renewed with new fervor thanks to high-tech printing methods. 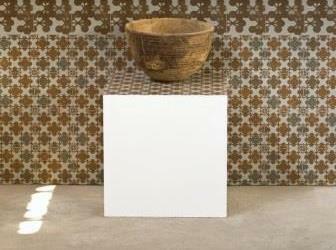 Of these unique collections is “Azulej” – the latest porcelain tiles designed by Patricia Urquiola for Mutina. Inspired by ancient handcrafted majolica made of hydraulic cement, the 8”x8” glazed porcelain tiles are available in three neutral base colors (white, light grey and dark grey) in a choice of nine patterns or as a combination of 27 different designs. 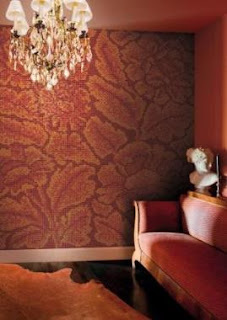 Following this trend is the Majolica pattern of Refin’s “Frame” collection. Designed by graphic design firm Studio FM, the large 30”x30” square tiles feature traditional decors from majolica tiles of the 19th and 20th centuries but presented in a more graphic light. “Vintage” by Cerim, “Cotto Vogue” by Cir and “Concept” by Ragno are a few other collections featuring this unique look. "Azulej" by Mutina designed by Patricia Urquiola. The lines of wood and ceramic are blurred once again with a wide-range of plank-sized tiles that made an appearance at Coverings. Not only do these longer tiles resemble wood, but they are now taking on the look of concrete and stone. 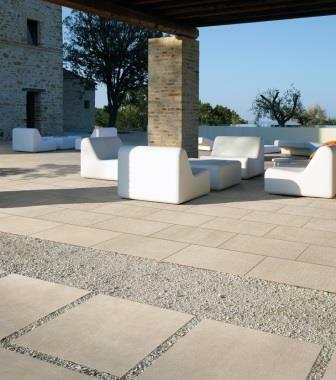 “Sunrock” by Atlas Concorde is available in a range of formats including 6”x36” and 9”x36” while Coem’s “Pietra del Friuli”, inspired by stones found in the northeast of Italy, also comes in a 6”x36” plank size. 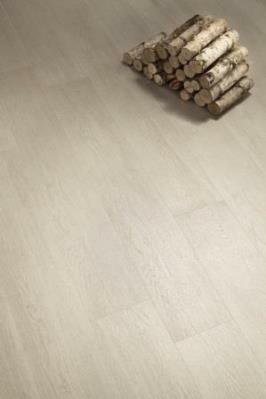 ImolaCeramica’s “Vein” collection mimics vein-cut or cross-cut marble, and Ceramiche Caesar’s “Wabi” is inspired by oak. Textiles and ceramic tile seem to be enjoying a heavenly relationship within the Italian manufacturing arena. 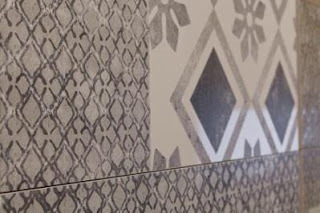 From Raw Edge’s second collection for Mutina called “Tex,” a rich, three-dimensional and multi-colored collection of 4.5”x8” rhombus-shaped glazed porcelain tiles, to the “I Tessuti” collection created by Elena Strafella for Cottoveneto, the range of fabric-inspired patterns are not only realistically breathtaking, but they also capture the essence of the designer’s soul. Additional textile-inspired products include Marazzi’s “Silkstone” line whose decorative ceramic wall tiles are inspired by Indian saris, Japanese kimonos, tulle and silk. In their continuous evolution to better serve the A+D communities, large-format tiles are becoming increasingly comfortable in various settings and environments. For example Novabell’s “Avant” collection is available in a heavy-duty 20mm paving version in a 24”x24” format and special R12 anti-slip finish while Ceramiche Keope’s “Pecorsi SMART” tiles are available in five stone looks and a 24”x24”x¾” size. Pastorelli’s new 2cm-thick “Quartz Design” series features the same sparkling reflections as quartz flecks, while “Sunrock” from Atlas Concorde gets its inspiration from Travertine. 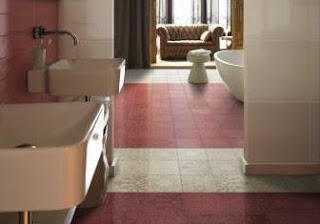 Further innovations in the large-format tile circle come from Cotto d’Este’s Kerlite series, “Exedra”; Panaria’s “LightQuartz”; “Micron 2.0” by ImolaCeramica; “Gli Alabastri di Rex” by Rex; and “Industrial” by Floor Gres, which reinterprets cement in porcelain slabs as large as 1.2m x 3m. Lastly, “Studies in Gouache” a tile product designed by Diego Grandi for Lea Ceramiche – is the first slim tile with a contemporary bas-relief design. The four decors (grid, scratch, weave and moire b) feature geometric and abstract patterns engraved and sanded into the 3mm tiles. They are offered in the same chromatic range as the company’s “Gouache.10” collection. “Studies in Gouache” a tile product designed by Diego Grandi for Lea Ceramiche. So, which of these Italian tile designs is your favorite? How and where would you use it in your next project? With summer just around the corner, it's time to clean and restore the backyard for a season full of fun and great memories. Along with washing the outdoor furniture, cleaning the grill for upcoming BBQs, and testing outdoor equipment, don't forget to refresh and update the look of your swimming pool with new richly colored, hand-painted ceramic field tile. 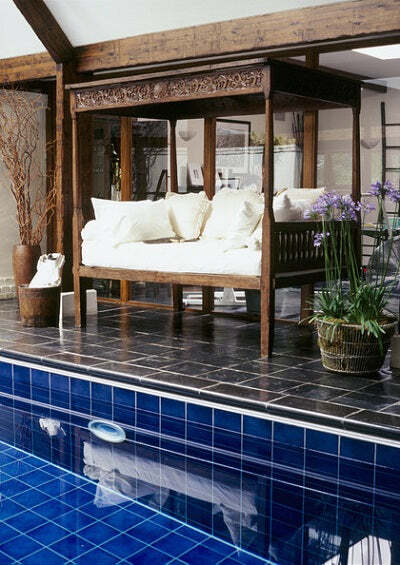 Field tile, or solid colored tile, is a tile found in the main "field" or area of an installation covering the walls, floors or steps of your swimming pool. 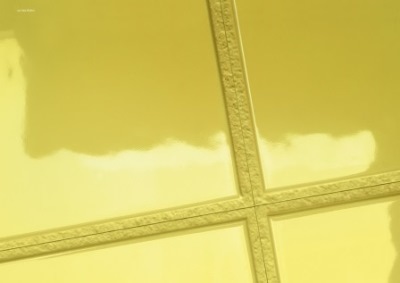 In essence, field tile refers to a solid color tile. 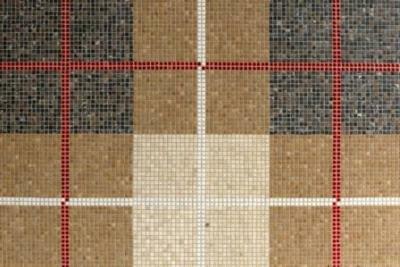 Of course, you can pair field tile with decorative ceramic tile to create a spectacular custom design. 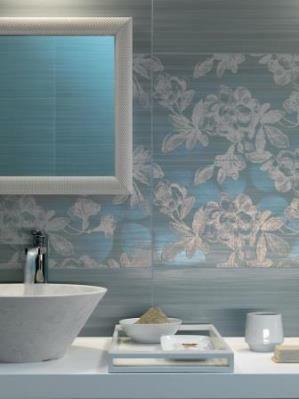 Arles is a handmade tile with stunning, reactive glazes that are full of movement. Inspired by the fields of Provence, France, this series is available in five colorways. 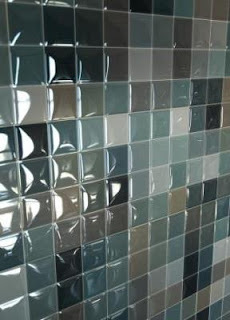 Cracked Ice is composed of unique glass tiles in a myriad of geometric shapes, and several rich colors. Pillow Chiclet offers a classic shape with a touch of softness. The wonderful translucent colors are hand-painted onto softly domed "pillow-like" tiles. Yucatan takes its inspiration from old sprawling haciendas and villas found throughout the Mexican peninsular state. School is out, and dreams of summer adventures wait! For this month's Pinterest focus, we chose two of our Pinterest boards that best reflect this exuberance of upcoming trips and longer, fun-filled days. Alongside summer's energy comes the urge to start a new project, perhaps one that has been set aside for years. Replacing cracked or broken pool tile or finally installing that fountain or water feature you've always wanted for the garden - now's the time! Using handmade or hand-painted ceramic tile for your next outdoor project will not only enhance the look of your home, but you can rest assured the tile you choose will withstand the elements, too. For whatever project you choose, Avente Tile is here to help you reach any design goal on any budget. Our extensive ceramic tile Design Ideas gallery features a large collection of projects dedicated to inspiring you and your living space. How can we help inspire you? The peaceful sounds of a water feature are enhanced by the presence of delightful hand-painted tile. Spanish Andalucia tiles are used to frame this outdoor fountain grotto, while Spanish Brushed Natural tiles are used around the front edge. Finally, the water's bright blue is enhanced with our Yucatan Cobalt tiles for the water level. Like all our hand-painted tiles, the patterns are hand-brushed by the tile artisan. The Spanish tiles are created using the traditional Majolica glazing techniques. Because the hand of the artist is at work, you will see variation from tile to tile. Remember, these tiles can't be used in outdoor environments subjected to freeze/thaw cycles. Feeling inspired? Take a look at our complete collection of hand-painted Spanish ceramic tile, read more about on this design, Fountain with Spanish Tiles, or explore other ceramic tile design ideas. Ceramic tiles are materials that can add glamor and value to any part of your home. 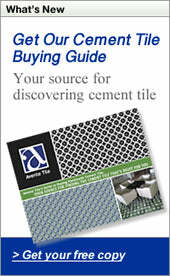 Although initial cost can be expensive, these tiles are easy to maintain and can stand the test of time. 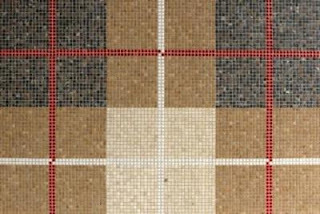 If you are considering this flooring option, this article provides valuable tips and important considerations on ceramic tiles. There are different types of ceramic tiles and each one has its own tolerance to the temperature of the room and exposure to dirt and stains. 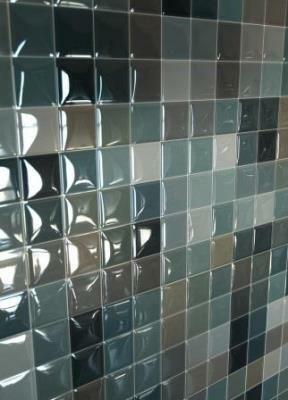 In general, ceramic tiles are durable. However, to achieve the longest possible life, it is advisable to regularly sweep the floor and maintain a clean and sanitary tile surface. When there are stains, you can apply water mixed with vinegar or friendly detergents that won’t strip the glaze off the tiles. As mentioned in the intro, ceramic tiles are pretty easy to maintain but removing and replacing them are hard. When one tile is damaged, you should buy an equally matching tile to replace it and go to the store where you first bought it or find one that specializes in creating custom-made tiles to fit the original design, size and shape of the ceramic tile. 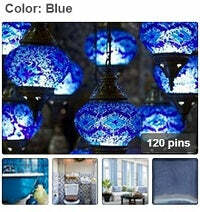 Ceramic tiles are usually quite pricey so expect to splurge a bit when buying pieces. The cost is directly tantamount to the complexity of the design, life cycle of the material used and also the durability guaranteed by its manufacturer. Also take into account the cost of installation required as you can’t install the tiles on your own if you’re not expert in this. Installation is often charged per square foot including some factors like location and the size of the area. Aubrey Madrona is a Social Media Specialist. She loves Music and spends a lot of her time playing piano and reading. She’s currently building her reputation as an online writer of Marble Mosaic.